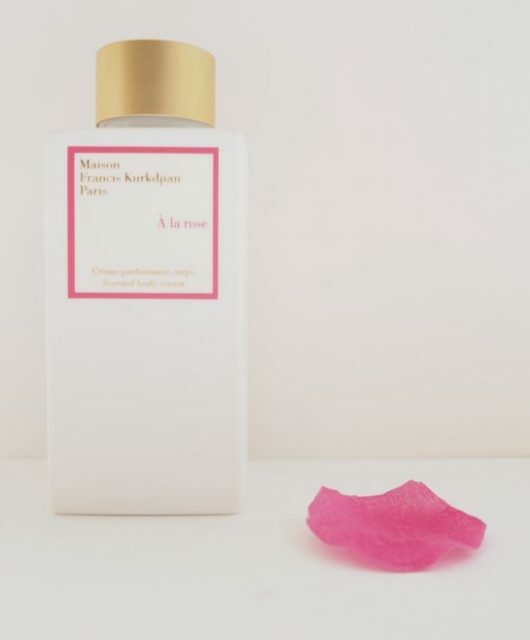 There’s no doubt about it – the big focus on going plastics free is only going to get bigger and to my knowledge, there isn’t a liquid soap in a plastic free bottle. There are some glass bottles knocking about (£4 IKEA) but they’re hardly practical, especially containing soap – that’s an accident asking to happen! 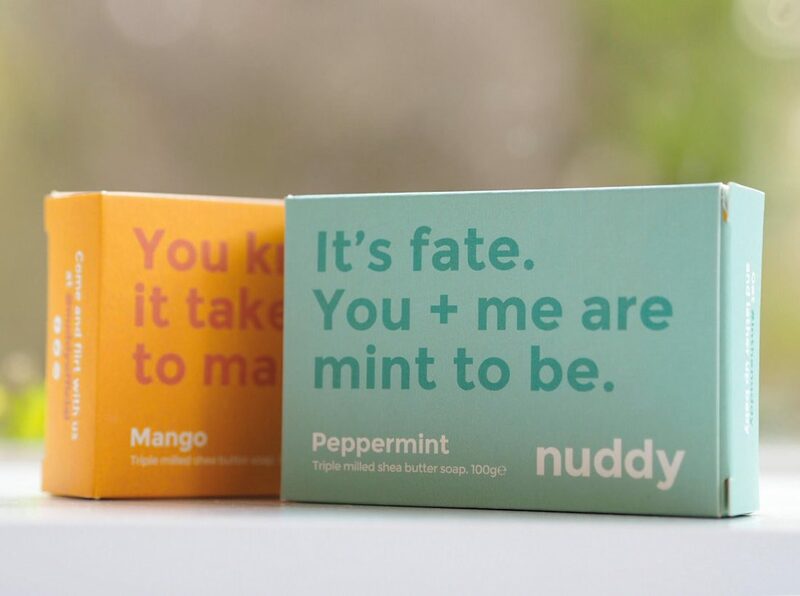 Nuddy is a new, cute soap brand – I suspect with a millenial founder because that’s the tone of voice of the site so it’s not going to resonate with everyone. But, they’re fun, smell absolutely fabulous and best of all, no plastics. 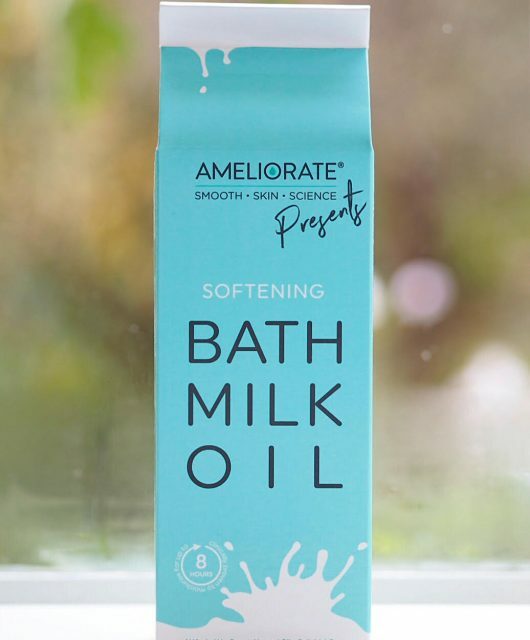 Most soaps are made with palm oil (sodium salt taken from the oil = sodium palmate) so the first thing to look for given that palm oil production is decimating large swathes of the world is that it’s ethically sourced. That usually means there is some environmental responsibility, and also a committed replanting program so what’s being taken is also being replaced, amongst other criteria. 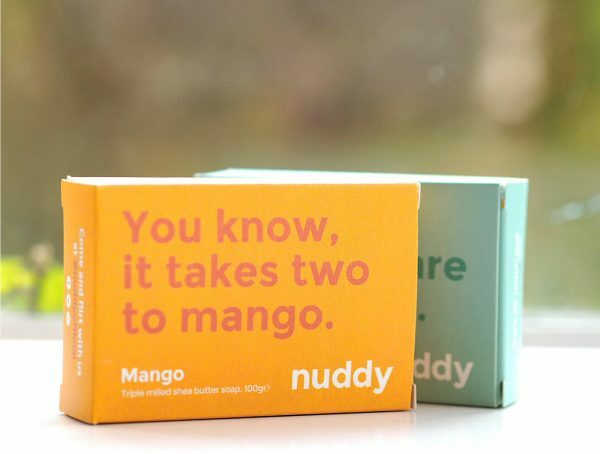 Nuddy is totally on that one and of course you can recycle the packaging. Inside, the soaps are very simply presented which I really like because it lets the fragrances do the talking. I’ve got mango and peppermint here and both smell exactly as described. I’m not massively a peppermint fan but yes, bring on the mango! 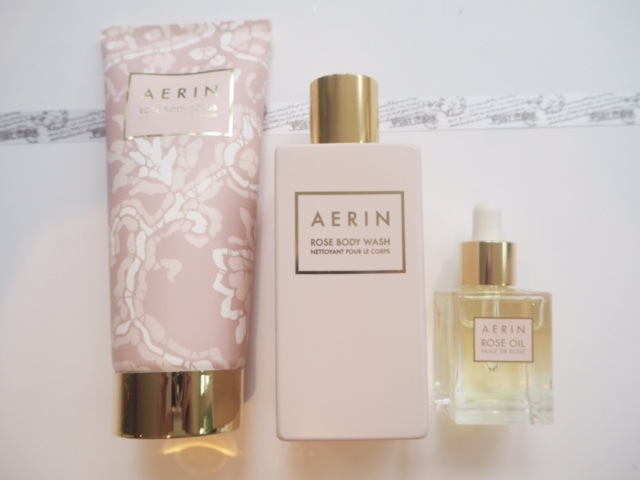 There are several scent options – pink grapefruit, lime & lemon and coconut, all of which I’d give house room to immediately. 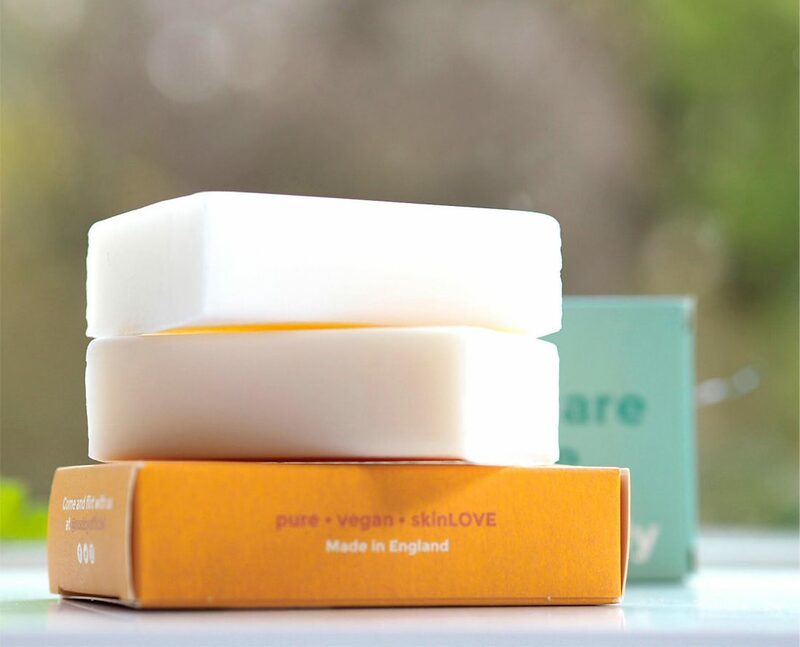 Although I haven’t spent a great deal of time thinking about it, I understand now why some brands made their soaps smooth and oval because a brick shape doesn’t have the same comfort hand feel. But, far more rewarding when you work it down and it starts to feel like yours. These are nicely priced at £4.95 each HERE. Wow! I’ve never heard about these soaps. They’re pretty amazing. Where can I get them in India? I do like a new bar of soap and a hot bath and its made in England. I want to buy more stuff made in England. It’s greener and we need the jobs. 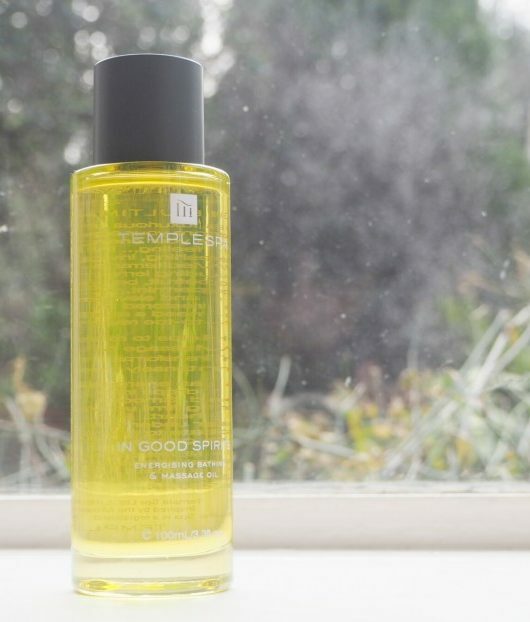 Emma Bridgwater does hand wash and hand cream in glass bottles, the pump is plastic. It’s made in the UK.